We know that men and women have different cardiovascular issues—where do trans women fit in? I had a very close friend. Fully transitioned for many years and also a blogger. After a long trip to visit another trans friend (many hours on a motorcycle, she got to her hotel room, called her friend and said she would be taking a nap. She died in her sleep of a stroke. This has haunted me. 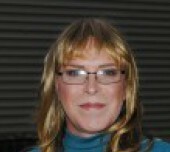 The subject being the effect of HRT on male to female transitioners. We will probably never know if that was the cause.